Private First Class John Legg grew up in Tioga, West Virginia, another of Depression Era kid who sought escape and opportunity through service to his country. He joined the Army Air Force, where he was trained to be a teletype operator and clerk. On December 8, 1941, Legg was stationed at Nielson Field on Luzon, Philippines, and might have been one of the clerks who sent the teletype warning to Clark Field that it was about to be hit by a Japanese air attack. Legg was an aspiring writer who wanted to pen a novel about the Philippines. His experiences there had given him much inspiration, and he’d been keeping notes for what he hoped would be his first book. In his off-duty hours, he wrote poetry as well. He was not a rifleman; he was not a special operations sniper. Legg was one of those anonymous young Americans who carried out one of the mundane daily duties that keeps a military organization functioning. The jobs have zero glamour, and historians rarely even make mention of their jobs, let alone those who filled them. 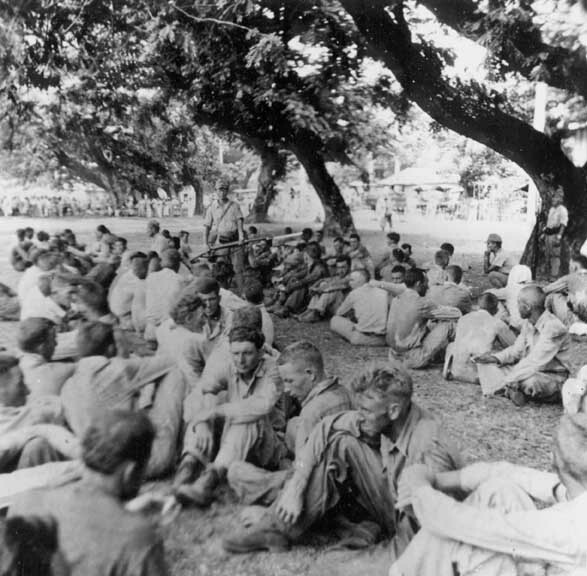 Legg was captured when the Philippines fell in the spring of 1942. He survived the Death March and made it to Cabantuan prison camp, but the ordeal had wrecked his health. He steadily declined, suffering from dysentery and malaria until he died on August 16, 1942. Small comfort to a West Virginia mother who would not even learn of the exact date of her son’s death until 1946. John Legg had a writer’s eye and heart. In On Writing, Stephen King wrote that most people either are born with the talent and it can be honed, or they just don’t have it. No amount of effort or work can replace that innate gene that makes a truly gifted writer. Legg was one of those who had the innate talent. The world lost a beautiful mind when he died in captivity. Had he lived and realized his potential, one wonders how his words could have affected and changed those who read them. His death was but a tiny piece of a mosiac that stretched the globe. So much lost potential. So many discoveries, inventions, changes and art lost to all of us with the deaths of so many souls. One wonders how much further we could have advanced and evolved as a species had we not lost so many millions like young John Legg. Only a few examples of his talent survive. Here is one of his poems that he wrote sometime in 1941 while feeling far from home out on the edge of America’s Pacific ramparts. That form a shaded cove. Lies green, and soft, and deep. Sweeter than goblets of wine. Or a tree frog croaks for rain. One may think, or in sleep, on may rest. To things gone behind, far away. In that your dreams vanished in air. Into the sky, so far away, so blue. If only your dreams could come true. To the woodland cove, and dream.